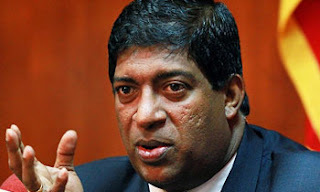 Power, Energy and Business Promotion Minister Ravi Karunanayaka has instructed ministry officials to restrict to the minimum the controversial spot purchases of electricity, a spokesman said. He said according to the Minister, a new National Power and Energy Policy would be introduced by March this year. He had also instructed officials to expand solar power projects on the basis of them being environmentally friendly, affordable and a source of clean energy available for power generation. The Minister has issued these instructions at a meeting held with members of the Small-Scale Solar Power Producers Association and officials of the Sri Lanka Sustainable Energy Authority (SLSEA). The spokesman said officials had been asked to ensure uninterrupted power supply round the year at the lowest possible tariff. He said the Minister had pointed out that Sri Lanka had failed to implement a single power project in the past three years and as such it would badly affect the power supply in the years to come. He also expressed his concern about the negative reaction to spot purchases by the opposition, the public, the media and officials on the suspicion that spot power purchases benefit someone. The Minister has asked small scale solar power producers to send him a report outlining their grievances. Meanwhile, a Memorandum of Understanding (MOU) was signed between the Ceylon Electricity Board (CEB) and the Sri Lanka Air Force to launch a project for artificial rain. Under the MOU, the Air Force will provide logistic support such as airplanes and technical know-how by Thailand to the CEB to activate artificial rain in Sri Lanka.